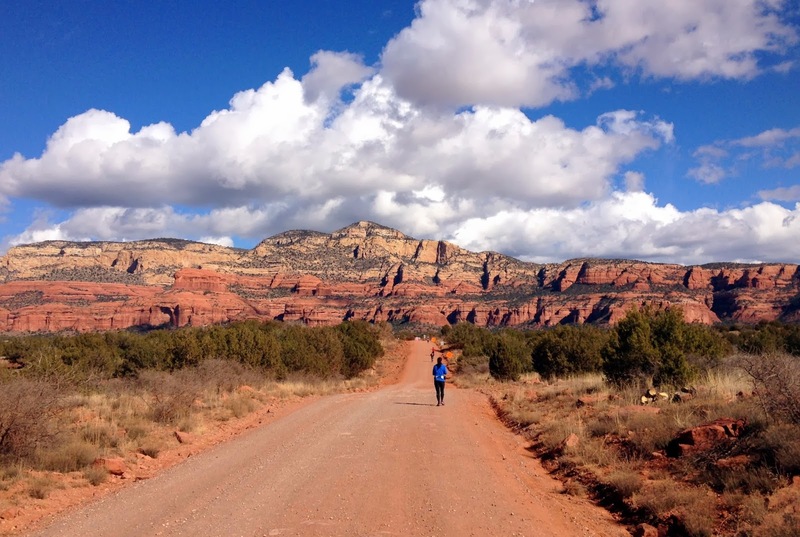 Sedona Marathon: "If the hills don't take your breath away, the scenery will!" Few races in the Country can compete with the stunning views of Sedona’s majestic red rock. Perhaps it is those views, or the challenging course, or maybe the friendly race staff that attracts nearly 2,600 runners for the Sedona Marathon each year. Many runners come from all over the globe for the chance to pound the pavement in Sedona. For the 9th annual race in 2014, officials announced that runners from as far as Canada, Brazil, Europe, Japan, and even Afghanistan were in town for the event. The event continues to grow from year to year, with women making up 70% of registrants. It’s hard to keep your eyes on the road when such stunning and vibrant color abound. 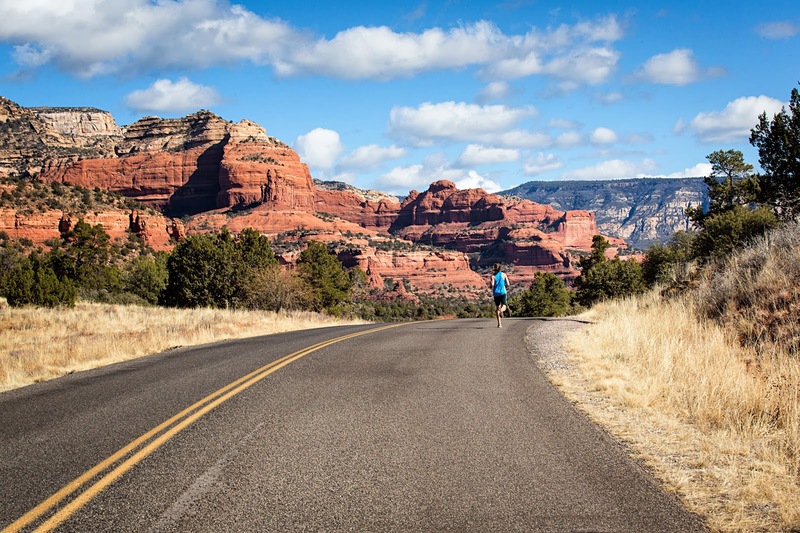 Very few races can offer the views and the challenge that the Sedona Marathon provides. You might never run anything like it again. While the Sedona Marathon is certainly one of the more stunning races nationwide, your legs will pay the price. Be prepared, for this isn’t your traditional marathon. The route follows a series of unforgiving hills that wind along the towering red rock formations making for a scenic and tough competition. And if the hills aren't enough of a challenge, just over 6 miles into the course (which is the half marathon turn around), the pavement turns to hard-packed dirt filled with all manner of little obstacles waiting to trip runners up. Trail Runner Magazine named Sedona as one of the "Top 3 Most Beautiful Trail Running Cities in America." If you're a trail runner at heart, you will love this race. Because of the level of difficulty of the full marathon course, the majority of runners choose to instead compete in the half marathon distance. But don't be fooled, the half marathon is no slouch. Organizers designed it so that the steepest hill is smack dab in the middle of the course. The 5k and 10k courses also offer an excellent blend of beauty and difficulty for those who’d rather attack a shorter distance but still want that triumphant feeling of racing across the finish line. Aid stations are set up about every two miles and offer water and Gatorade. The aid stations located deeper into the routes also provide bananas, orange slices, and gels. Runners won’t suffer for lack of fuel or water as the aid stations are plentiful. This also means that runners shouldn’t bother with carrying water with them; its an unnecessary weight. While the marathon has an international attraction, it's not without that welcoming small town feel. The marathon is produced and directed by the Sedona Chamber of Commerce and sponsored by many local businesses and seems to have the full support of the town. From city officials to high school athletes, it seems like the entire community is either supporting the event, or competing in it. There are plenty of support vehicles, volunteers, and aid personnel to ensure the event’s success. Many of the city’s hotels offer discounts to runners, as do several of the more popular restaurants in town. Sedona has recently been ranked #13 in the Top 25 Best US Destinations by TripAdvisor. The town is perfect for girlfriend get-a-ways boasting over 80 art galleries and boutiques, world-class hotels and dinning options, and resorts and day spas. The best part is that all of this is surrounded by jaw-dropping scenery that certainly rivals that of any national park, offering hundreds of miles of red dirt trails with incredible opportunities for hiking, biking, horseback riding, trail running, and photography. With so much to do and the perfect blend of hippie and chic, modern and old town, there's little question why Sedona draws travelers near and far.